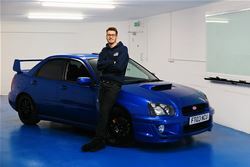 The tint factory are specialists in automotive and architectural window tinting, carrying out all work as thought it was our own property with the highest standards. We only work with professional quality films which is why we can warranty our work for as long as you own your vehicle. All of our automotive tinting is carried out in our specialist workshop located just behind Branston’s garage in Queniborough. Here, our dust free environment means we can prove the best factory finish look to your windows. Call us today to receive your no obligation quote!